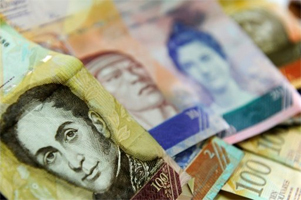 UPDATED: Five million Venezuelan bolivars is now the equivalent roughly of a minimum-wage worker’s entire monthly salary, $1.45 in the South American country. Thanks to socialism, it takes 1 million bolivars to buy a cup of coffee in a Venezuelan cafe. That’s a 10,000-bill stack of Venezuela’s most common bank note, the 100-bolivar bill. Even worse, there is now a shortage of water in the oil rich nation. To illustrate Venezuela’s rampant inflation, Bloomberg has tracked the price of a cup of coffee since December 2016 on its Cafe Con Leche index. One dose of caffeine cost 450 bolivars when the index launched two years ago, but 43,378 percent inflation in the last year has led to today’s astronomical price. If the pace of inflation over the past three months continues, Bloomberg estimates that inflation would be 482,153 percent after a year. 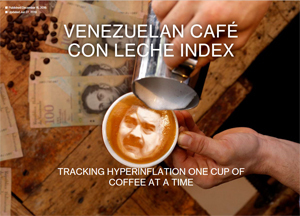 Click here to check out the Cafe Con Leche index at Bloomberg an astonishing visual. UPDATE: Further protests July 3 as Venezuela water supplies fail in several cities notes Breitbart.com from Twitter accounts of local leaders. 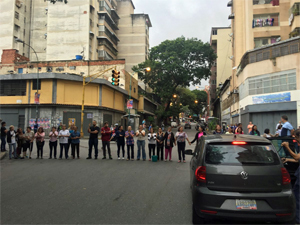 On the Avenida Baralt in central Caracas, protesters complained that they had not received water for two days and, as a result, were forced to use stagnant water, exposing them to infectious diseases. The country is now widely regarded to be in its worst ever economic and humanitarian crisis, with hundreds of thousands of people now fleeing to neighboring countries such as Brazil and Colombia – a more tragic and desperate crisis than Middle East refugees in Europe. This is not the first Tulsa Today posting of news about Venezuela. You may use the search function on this page to find other postings. 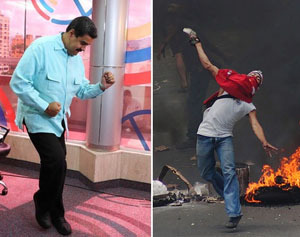 In short, while Democrats elect socialists in America, the economic disaster and totalitarian slaughter of innocents as the direct result of socialism in Venezuela continues. We welcome debate on topic. 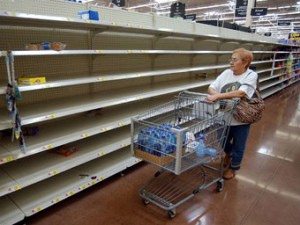 God knows Trump’s American Opposition Media are not covering why families are hunting pigeons and rats to postpone starvation in Venezuela. Vice President Mike Pence and Homeland Security Secretary Kirstjen Nielsen are currently visiting Guatemala to meet with its president along with leaders of El Salvador and Honduras. The trip is both to warn against individual invasions to the United States, “come legally or don’t come at all” and to discuss humanitarian options, including intervention, to stop the slaughter and starvation in Venezuela. While it would be far better for neighboring nations to end the evil abuse of innocents in their own backyard; America should not and cannot ignore human need at this massive scale. This entry was posted in Business on June 29, 2018 by admin.